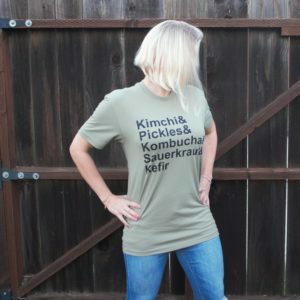 In the pantheon of pickledom, must they ALL be sours? Is there any room for a bread and butter, sweet pickle, at least a respectable old-fashioned (read: fermented) version? 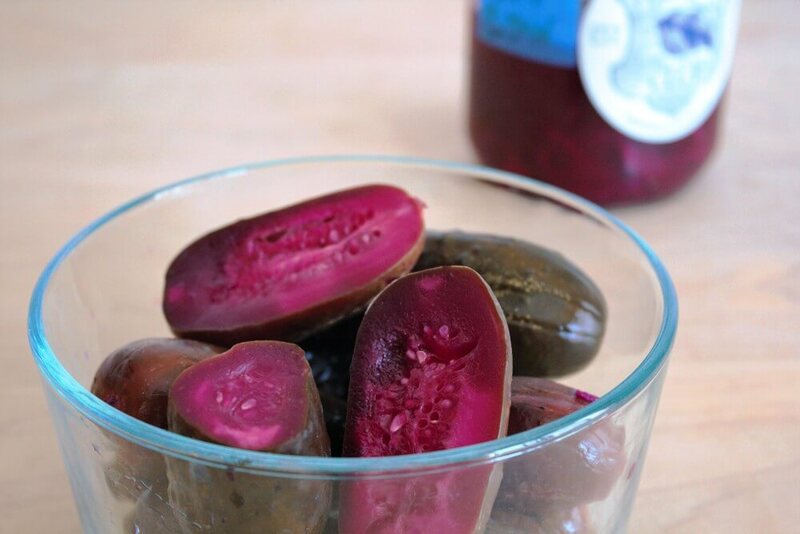 The internet and cookbooks abound with quick pickles that are sweet. They are made with a brine of vinegar and sugar. Since sugar tends to naturally attract yeasts, which ferment to alcohol (they consume the sugar, burping out carbon dioxide and ethanol), I didn’t want to simply replicate that brine formula and make boozy pickles. I took it upon myself to come up with a naturally fermented and sweetened cucumber pickle. 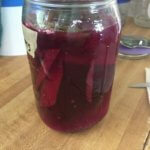 I had been making beet kvass lately, and noticed that it tasted naturally sweet. Eureka! The beet ‘n’ sour (or bread and “beet”er?) was born. Scrape the tip off the flower end to ensure there are no flowering parts (enzymes & molds can make pickles mushy). Rinse off any dirt from cucumbers. If using slicing cukes, slice into ¾″ thick pieces. Leave whole if using pickling (Kirby) variety. 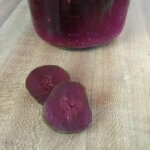 To a clean half-gallon or larger glass jar or ceramic crock, add mustard seeds, celery seeds, and beet slices. Add the cucumbers. Pack them as tightly as you can. Mix Brine: Add sea salt into filtered water. Stir until salt dissolves. Add liquid whey or pickle brine from a previous batch to container. 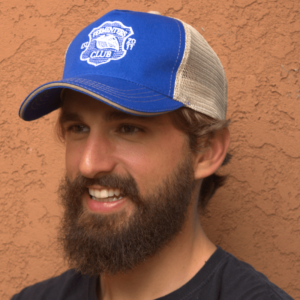 If using a small batch fermentation device, add weight(s) to the jar, then apply fermentation lid. Skip to next section. If not, place a lid or plate that is slightly smaller than the diameter of the container on top of cukes. Add a weight like a jar, wine bottle filled with water, or even a plastic zip-top bag filled with brine. Slowly pour brine into jar until there’s enough to cover the contents. Cover container with a tea towel or clean dishcloth to keep dust and flies out, and secure with twist ties or a rubber band. Place in a cool, dark spot in your house. Taste after 5 days. 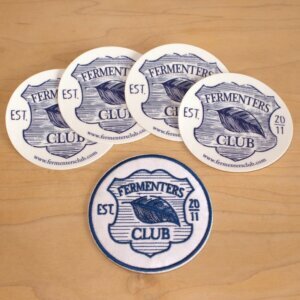 If still too crunchy (like a raw cuke), let ferment a few more days. White yeasts and mold may form on the surface that is exposed to air. THIS IS NORMAL. 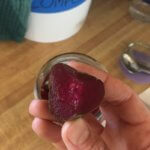 Remove weight and plastic lid, wipe or spoon out as much of the mold as you can, clean lid and weight with warm soapy water, dry thoroughly and add back to the jar. 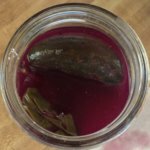 Brine (and cukes) will take on a deep beet-red color. When you like the taste and texture, transfer to refrigerator and place a tight lid on container. Pickles will last up to 6 months in the fridge.